<img class=”size-large wp-image-111 ” title=”My first Etude House products! 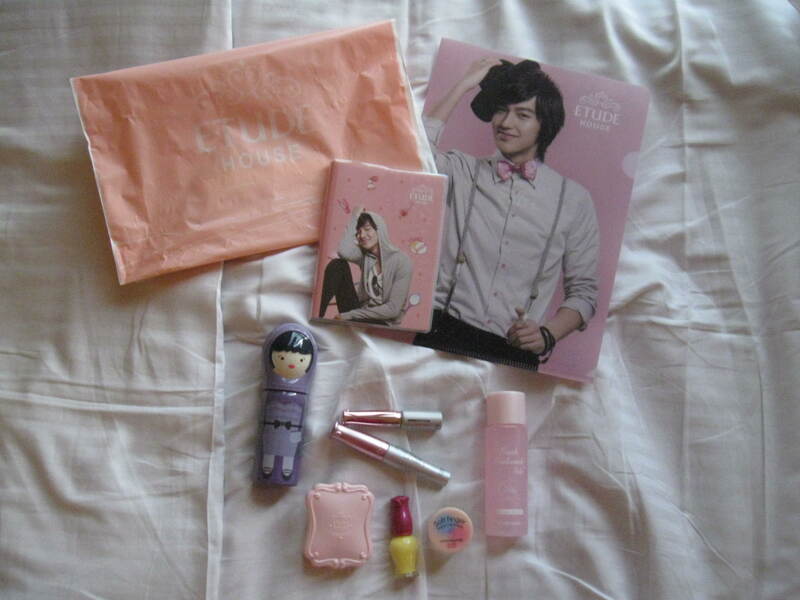 As you can see on the picture above, my first trip to Etude House was worth it! (Besides, who can resist the charm of Lee Minho, of Boys Over Flowers fame?) And what made it all the more awesome was when I finally tried the products and realized that they actually enhanced my features. In fact, I personally proclaimed it as my favorite cosmetic brand that I even asked my sister and one of my close friends to buy me more products when they went to Korea! I also decided to make Etude House my go-to store for birthday presents for my girlfriends because that is how I want to spread the word and testify my love for the said brand. For this one, I have to say kamsahamnida to my friend because it was her “pasalubong” to me from her recent trip to the “land of kimchi.” 😉 And I think it is pretty self-explanatory based on its name. In fact, I have to say that it is comparable to one of the leading lip balm brands because Etude House‘s Kissful Lip Care does make my lips SHINY and SOFT at the same time whenever I use it! Tip: it is a good product to use to remove that “dry” feeling on the lips after hitting the gym and sweating it all out in the sauna! One of the things that caught my attention when I saw this product was the statement that was printed on its box (if my memory serves me well): “This product will make you beautiful” or something like that. 😀 Plus, I love the fact that its shade complements my skin color so it practically conceals my blemishes and makes my face appear to be flawless. Oh, and did I mention that its overall packaging can make anyone mistake that its owner is a PRINCESS? Enough said. Of course, I saved the best for last! 🙂 I first got this product from my sister when she also went to Seoul, Korea and from the moment I received it, I just cannot get enough it! Etude House‘s Happy Tea Time Cleansing Foam in Milk Tea is what I use EVERY DAY AND NIGHT to wash my face off of dirt and impurities. Aside from that, I love its Milk Tea smell that instantly calms me and makes me think of “sugar, spice, and everything nice” every time I massage my face with it! By far, this has got to be my MOST FAVORITE Etude House product.